The handy La Palma Restaurant Guide on your Smartphone! Feeling hungry while exploring the island? 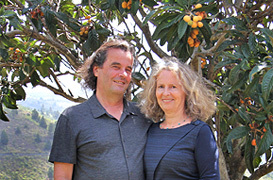 Along the way with the La-Palma-Travel_App on your smartphone you will find open restaurants close by. Besides typical Canary dishes like the vegetable stew "potaje" or grill specialities there are also an exquisite international cuisine and of course seafront restaurants serving fresh caught fish. We recommend some outstanding restaurants, which not only are happy to welcome you but who are also looking forward to your rating. Select your Favorites and mark them for your upcoming trip! 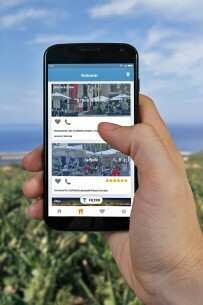 The handy La Palma Guide on your smartphone is a valuable addition to your stay on the island. Download the Restaurant Guide for free through Google Play Store on your smartphone! Download the Restaurant Guide for free through App Store on your iphone!